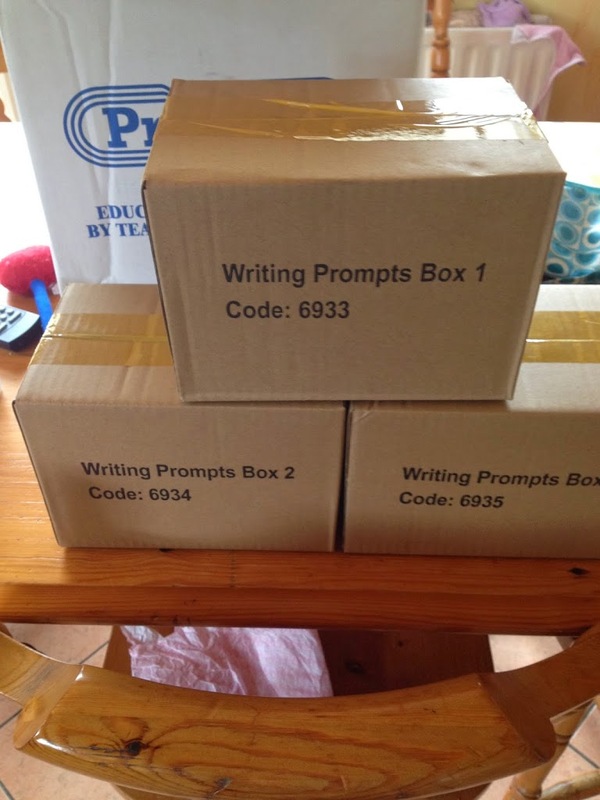 My New Prim-Ed Prompt Boxes and How I will use them. Not only did I receive a Prompt Box set, but I was also offered one to give away on my blog to a very lucky follower!. All you had to do was like and share the photo, to get 150E worth of resources! 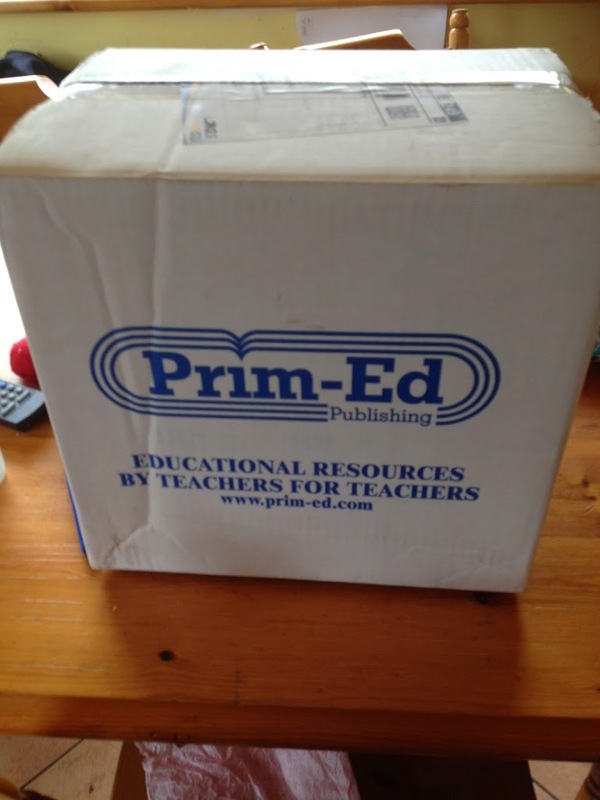 Thank you to Prim-ed for making such a generous contribution, to myself and my followers. Naturally, I spent a couple of hours examining the prompt cards. I am lucky enough to have a set for the junior, middle and senior classes. I can’t wait to use them in school. The cards are of excellent quality,as are the boxes. These cards will really help children who struggle with creative writing and just need an idea. 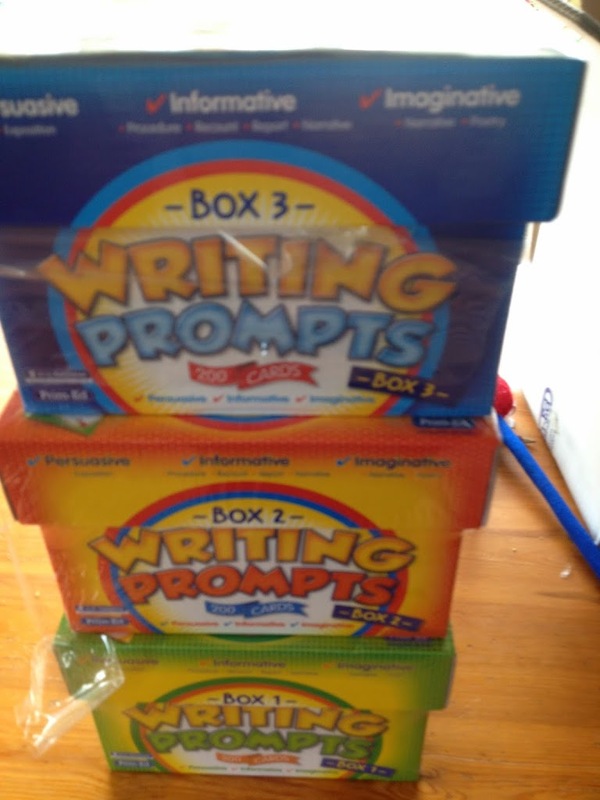 They will also reinforce the genres of writing, as they cover a wide range of genres within each box, e.g. procedure, recount, report, narrative, poetry etc. All the topics are based on areas which children would find interesting and fun to write about. If I am subbing in September, I will bring thirty or so cards with me (in a plastic container I bought especially for them today) I will give each child a card. They can swap them later in the day if I want to use them again. If I have my own class, I will use the prompt boxes for my writing centre area for early finishers, or for group work. These are available to pre-order only!